Last week, we presented you a list of best jailbreak tweaks for the Music app on your jailbroken iOS 7. Today, we’re back it again to show you a list of best jailbreak tweaks that will spice up the stock Messages app. The Messages app has been greatly improved over time and comes packed with amazing features in the latest version of iOS 7. The Messages app is both used for SMS as well as iMessage for communication with other Apple devices. However, there are a few features that it lacks but can be achieved by using the tweaks listed below. 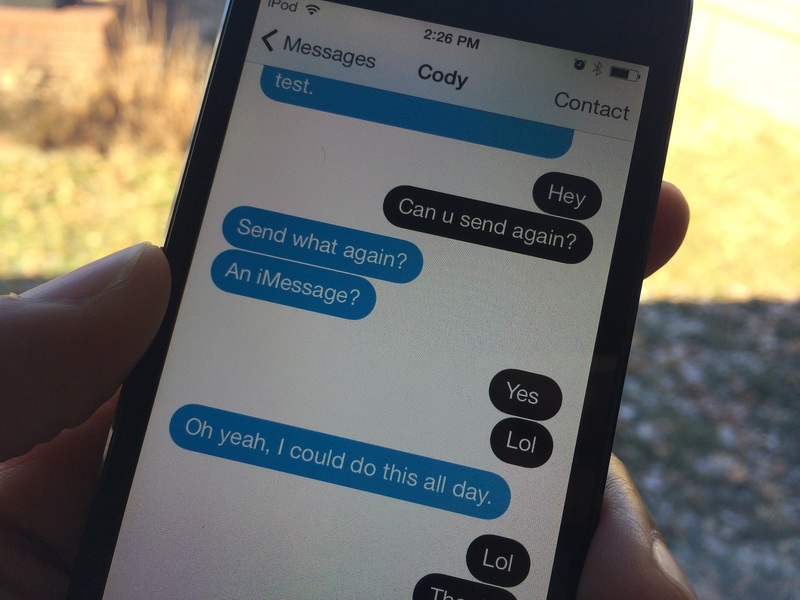 Read on to find out the best jailbreak tweaks for the Messages app on iOS 7. BiteSMS is by far the best jailbreak tweak for the stock Messages app that gets regular updates to make it the perfect tweak. It comes packed with a bunch of new features but it’s best known for its Quick Reply and Quick Compose features. 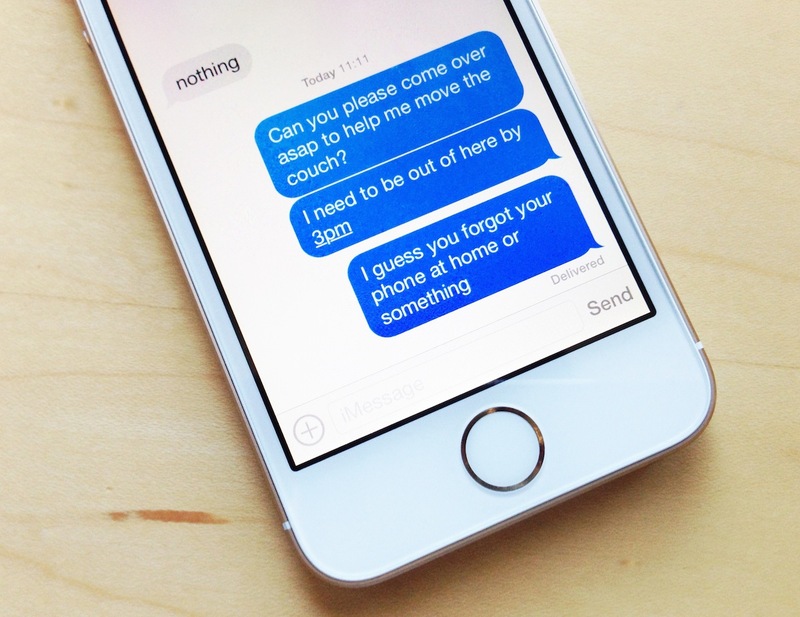 With BiteSMS, you can quickly reply to a received message from anywhere within iOS. Tapping on the Notification banner or swiping a notification in the Lock screen will display a pop up where you can type in your reply. To quickly compose a message, you can press one of the volume buttons or tap on the volume HUD to bring up the quick compose interface. Other than this, BiteSMS provides various other features such as scheduled SMS messages, passcode lock, templates, contact pictures, notification privacy and more. BiteSMS is available for free in Cydia but after 7 days of free trial, you’ll start seeing advertising banners. To get rid of ads, you can purchase a lifetime license for $7.99. BiteSMS supports devices running iOS 5, 6 or 7.
auki brings a native quick reply style to iOS 7 giving you the ability to instantly reply to messages from anywhere by tapping on the notification banner. Along with Quick Reply, auki comes with several other features including a Quick Compose option which can be invoked by swiping down the Notification Center’s interface or by making use of an Activator gesture. The tweak also brings a host of other features including “Silent”, “Stealth”, “Landscape” or “Dark” mode, supports video and images, group messages, contact pictures and many more useful features which you’ll have to experience for yourself. auki is compatible with iPhone and iPod Touch devices running iOS 7 and is available in Cydia for $3.99. If you’re tired of the current look of the stock Messages app, you may want to try out Messages Customiser. 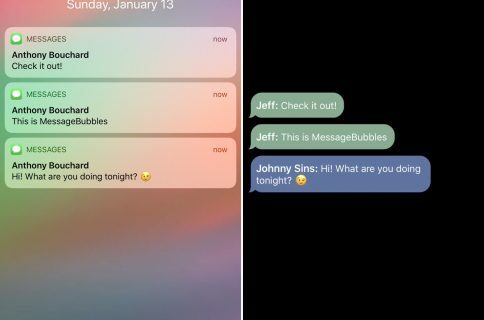 The tweak provides you the ability to customize the colors of your SMS and iMessage chat bubbles as well as that of another person. 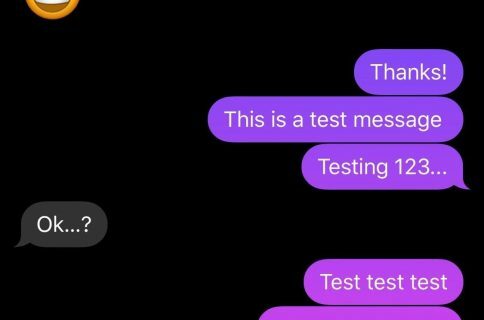 Additionally, users can customize the tint of the Messages app as well as the text color, bubble opacity and width, chat background and more. Best of all, Messages Customiser is available for free in Cydia and supports all iOS 7.x and 7.1.x devices. If you’re a Mac user, you can easily use iMessage on your computer and easily stay connected with your friends. But what about Windows, Linux or other operating system users? This is where Remote Messages comes into action to save the day. 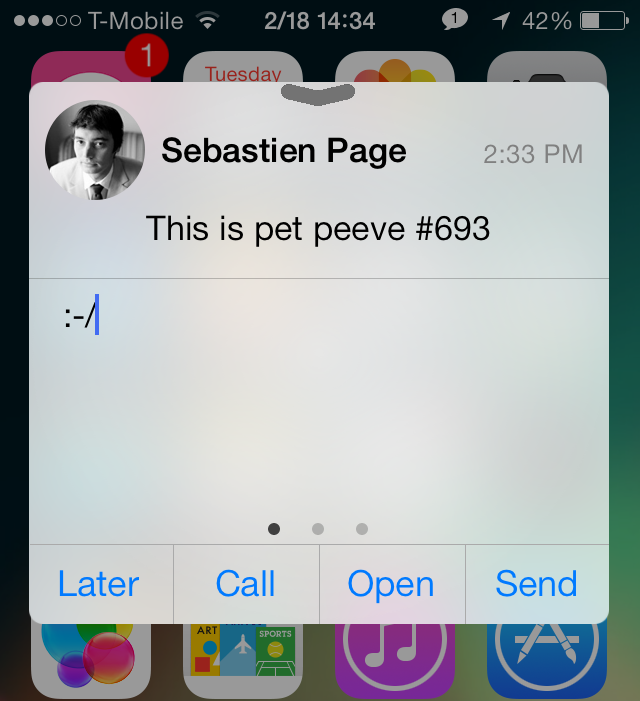 Remote Messages is a browser-based front end for iOS 7 Messages app. The tweak allows you to remotely access your iOS 7 Messages app via your computer and send and receive both iMessage and SMS messages directly from your browser. Whatever message you send from your computer will be automatically synchronized to your iOS 7 device. It supports Emoji, gives you access to your device’s camera roll, allows you to attach files from your computer, displays typing notification, contact pictures and much more. To start using the tweak, you’ll need to connect your device to the same Wi-Fi network as your computer and enter your IP address in your computer browser. 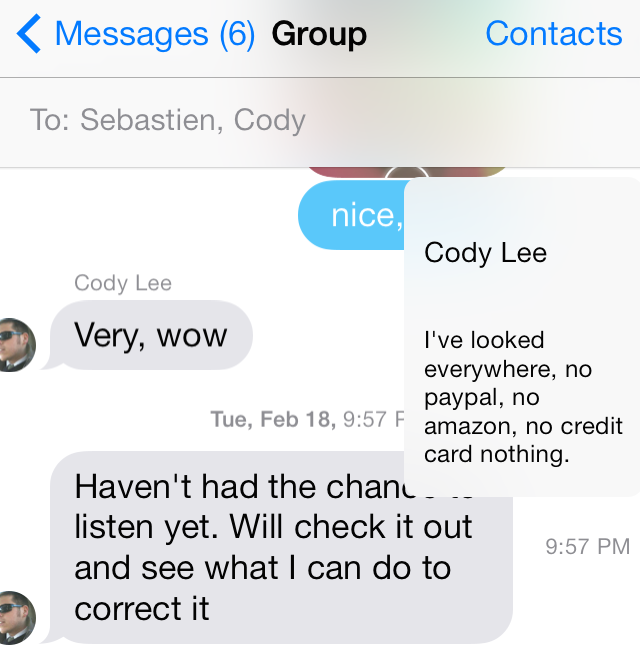 You can purchase Remote Messages (iOS 7) for $3.99 via Cydia’s BigBoss repository. Are you looking for a lightweight quick reply tweak with a native style? You may want to try out Hermes, a quick reply tweak that not only supports the stock Messages app but Whatsapp and Kik also. Tapping on the notification banner when a new message arrives will bring up the tweak’s interface with the recipient and app name, the message and a text box where you can quickly type in your reply. Hermes requires iOS 7 and is available in Cydia for $0.99. One of the features that iOS 7 Messages app lacks is the ability to view statistics of your iMessage and SMS messages. 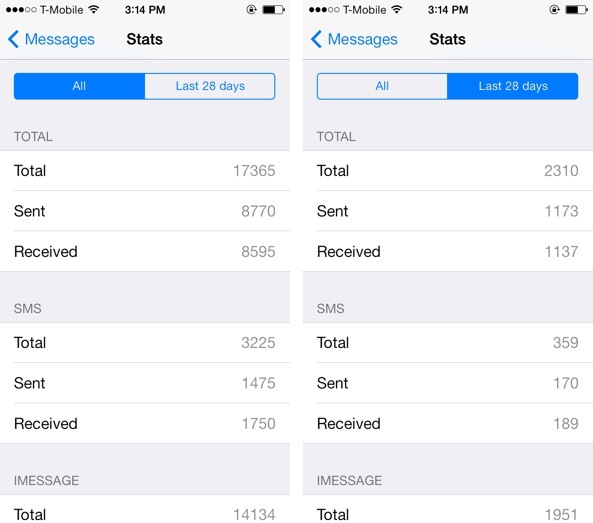 SMS Stats 2 seeks to overcome this problem by allowing you to view the total amount of iMessage or SMS messages sent and received, as well as the combined amount till date or for the past 28 days. Statistics include total messages, sent messages, and received messages. An ‘S’ button will appear right next to the compose button which allows you to access the statistics. To access the statistics for an individual conversation, open the contact’s messages, tap on ‘Contact’ and press the ‘S’ button. SMS Stats 2 is compatible with iOS 7 devices and is available for free in Cydia. If you use iMessage frequently to stay in touch with your contacts, you might want to try out Type Status. 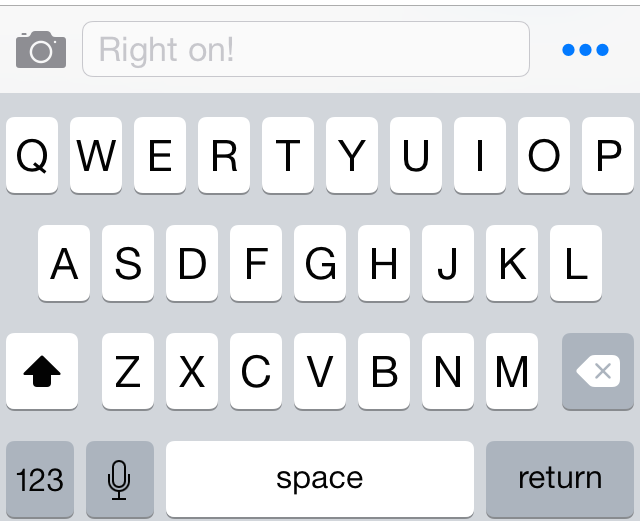 It adds an iMessage ‘now typing’ indicator to the status bar and lets you know who’s replying back to your message. TypeStatus is availabe for free in Cydia and supports iOS 5, 6 and 7 devices. 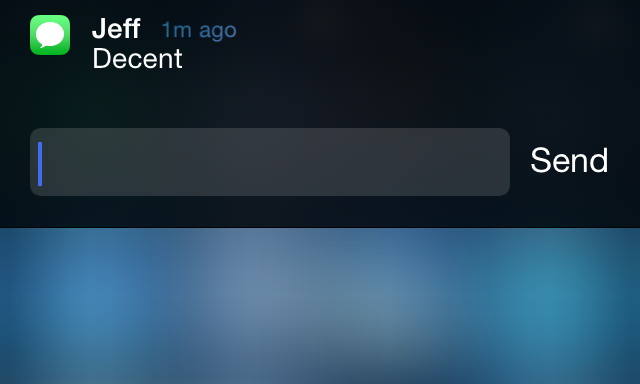 There are many quick reply tweaks available in Cydia but Interactive Message Notifications is quite unique in the sense that it brings the iOS 8 style quick reply to iOS 7. When you receive a new message, swipe down the notification banner to open a text box to type in your response and quickly reply the recipient from anywhere within iOS without having to open the Messages application. I tested the tweak with Whatsapp and it worked successfully. 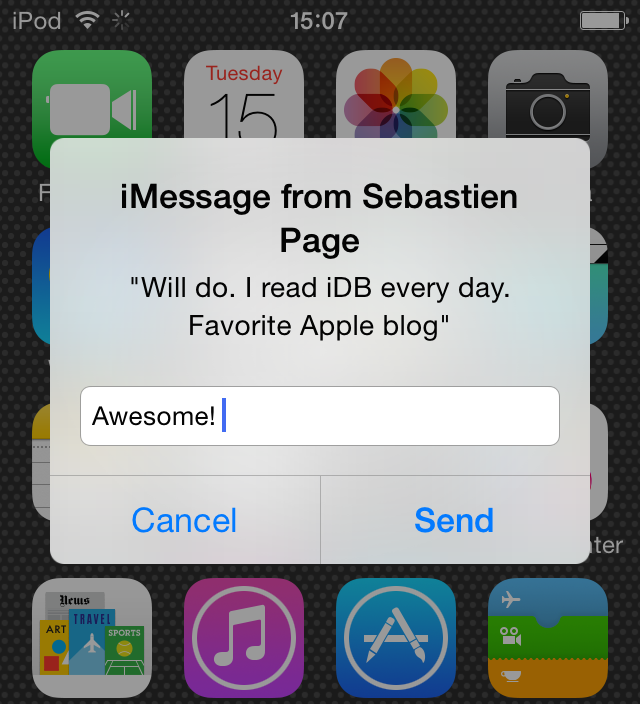 If you want to experience iOS 8’s quick reply on iOS 7, you should try out Interactive Message Notifications. The tweak is available in Cydia for $0.99. 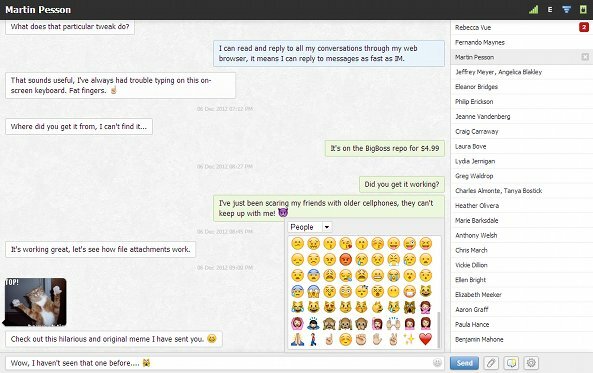 If you have a lot of conversations going on at once, you may want to try out MessageSwiper7. A simple, yet useful tweak, that allows users to quickly swipe and switch from one conversation to another without having to go back to the Messages main menu. You can choose to swipe left or right from the center of the conversation or the edge. You’ll also get a small preview of the other conversation when you swipe halfway. MessageSwiper7 requires iOS 7 and is available for free via Cydia’s BigBoss repository. 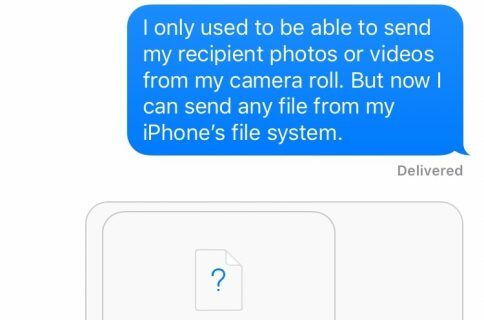 If you frequently use the Messages app to text or iMessage your friends, you must have noticed by now that there’s no way you can mark a message as read or unread. 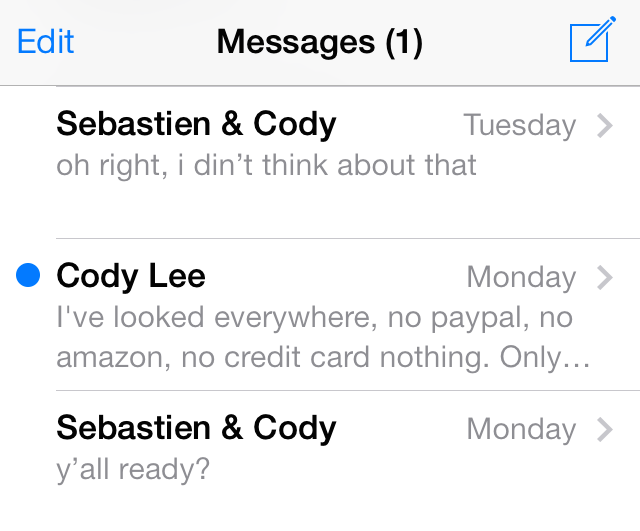 With the ‘Unread‘ jailbreak tweak, you can tap and hold on a message to mark it as unread. Similarly, if a message is unread, tapping and holding on it will mark it as read. You can download Unread for free via Cydia’s BigBoss repository. Last in the list is CamText, an interesting tweak that transforms the background of the Messages app into a live camera background. This can be quite useful when you’re texting while walking in the street. 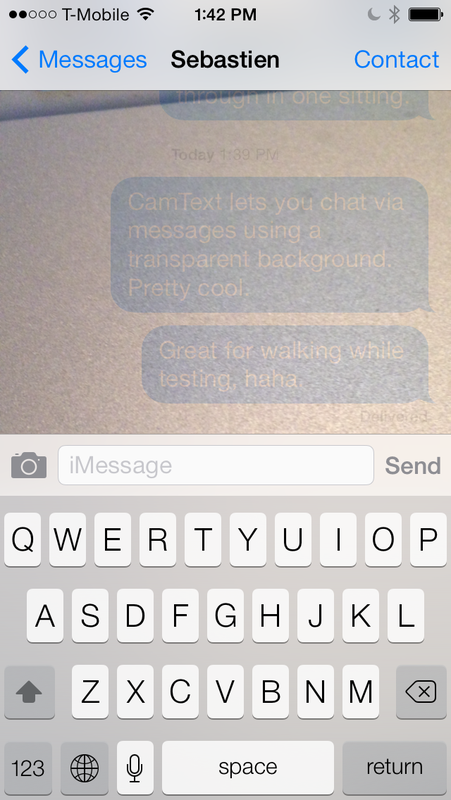 You can also adjust the transparency of the Messages app background from the tweak’s preferences pane. You can find it for $1.50 on Cydia’s BigBoss repo. These are the best jailbreak tweaks that will improve your iOS messaging experience. Is there any tweak that we might have missed and deserves to be on the list? Lets us know in the comments section below.